I love me some RPGs and Fighting games! Those are my favorite genres, but there are times where one must give a break and try some other genre as well, and maybe even have some interesting surprises! 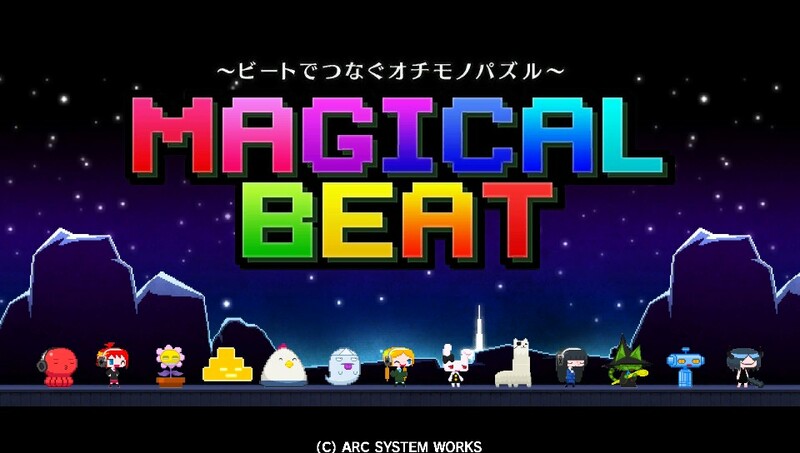 Magical Beat is the most interesting puzzle game I’ve played in a long time! Originally released for the NESiCAxLive Arcades last year, it finally got a port for the PS Vita. 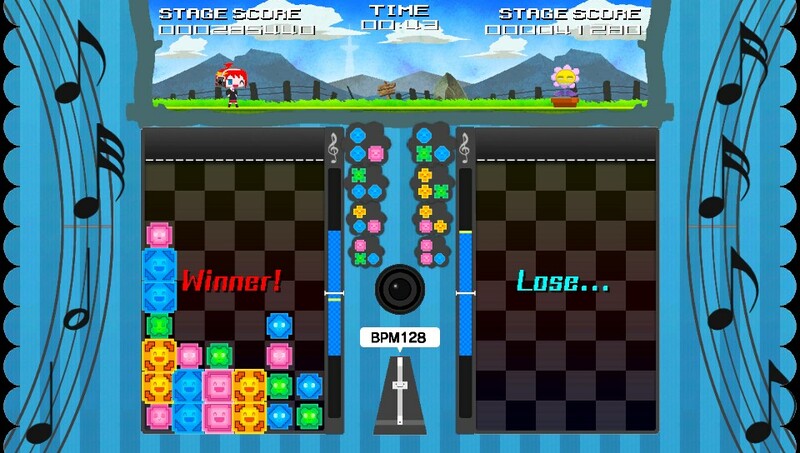 The main strength of this title lies on it’s very creative combination of puzzle with rhythm game. It’s cute, but it does not exaggerate; It is fast and enjoyable at every match and each new music offers a new challenge! What? If you expected no story at all just because this is a puzzle game, then SHAME ON YOU! 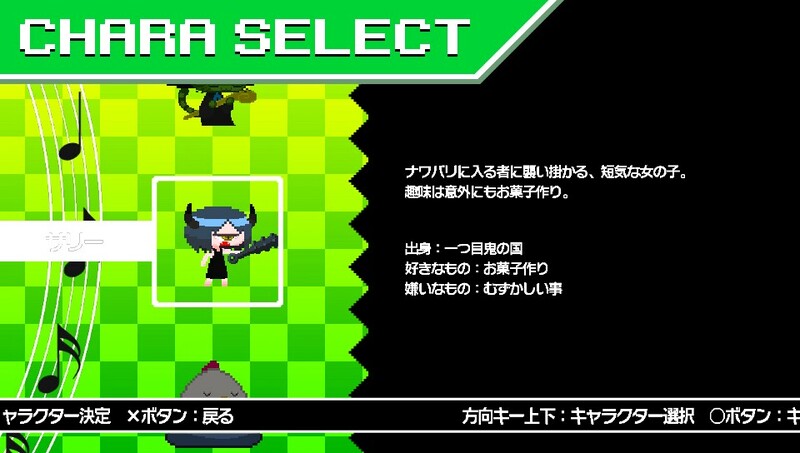 Don’t you know about the Japanese oddity to include plot and characters in almost every puzzle game they make? The story for those games are, of course, very weird! It’s no different for this game either! 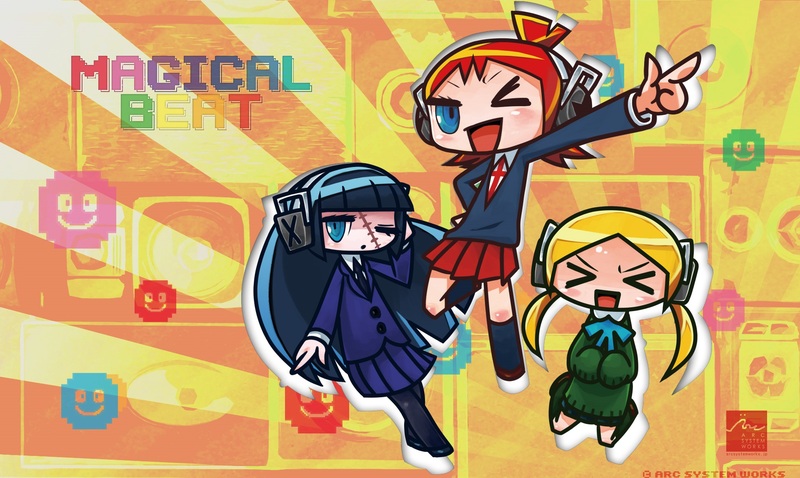 Here you control three heroines who are some type of cyborgs called “Beat Weapons”. They somehow managed to free themselves from their old masters and were living their lives as “normal girls”. Their daily lives were being very peaceful since they didn’t retain any memories from the time they were “weapons” (except for Serial-K, because…she has a scar…I guess). Suddenly, many random terrible enemies stand in our heroines ways and they need to return to their old days as living weapons and defeat those foes…for some reason… And them, there is the heroes from Blazblue who have to fight against Ragna’s older sister, The Empress who, somehow, got herself fused with the Terminator and became the Imperator. It’s when the characters from XBlaze come from a time-portal to make many retcons on Blazblue’s plot! Yeah! It all makes perfect sense! Everything is pretty simple and fast to learn, you don’t even need to know Japanese to get how to play, and while there is a tutorial mode, you can skip it and play real matches right away and ending up winning! 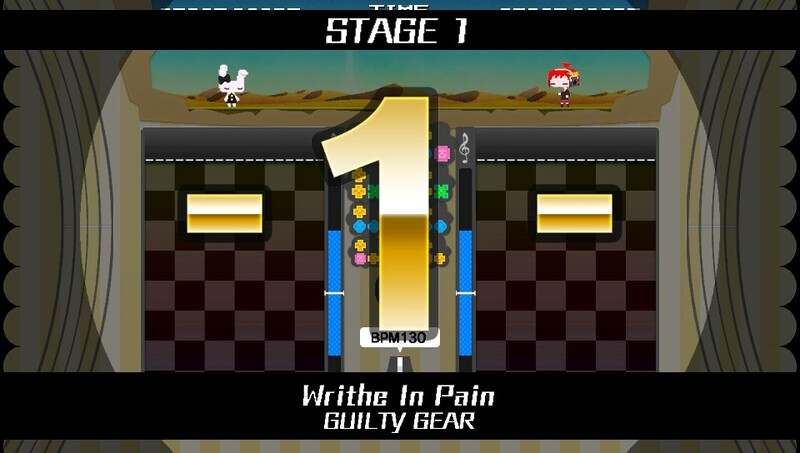 You have that marker in the middle of the screen that moves up and down while matching with the rhythm of the BGM. 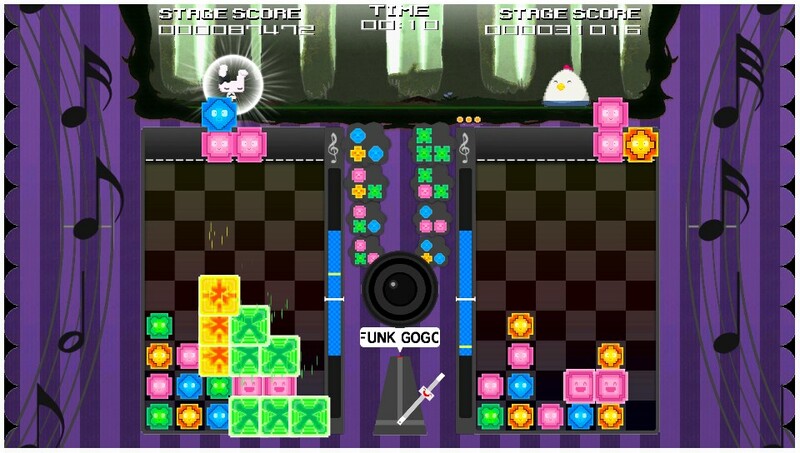 Meanwhile, new colored blocks are given to you to place at your side of the screen. Just like Puyo Puyo, you have to bring together as many pieces of the same color as you can. 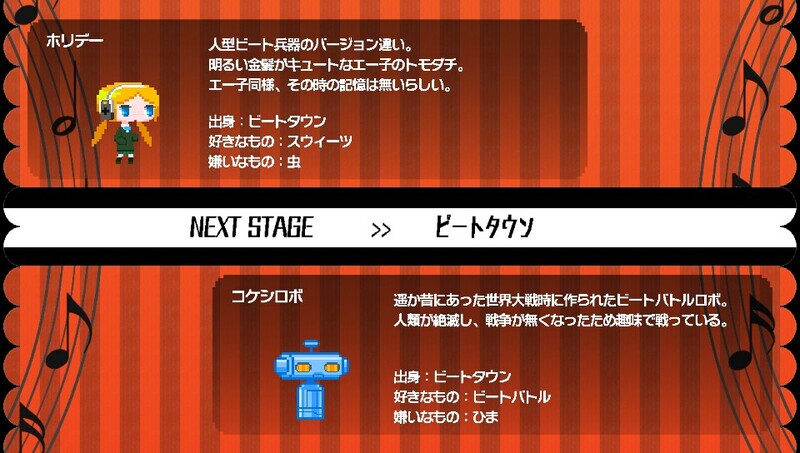 However, the blocks will only fall when you press the circle button, and if your timing miss the blue portion of the rhythm gauge, the blocks will spread randomly over the screen. You eliminate blocks by assembling 4 or more with the same color, and if you hit the perfect rhythm, you just need to make them get a bit close to each other. If everything is done just right, your old blocks will fall at your enemies side as colorless blocks to mess with your adversary game. Pretty standard stuff for a block-based puzzle game, but the rhythm feature makes everything feels fresh. I am a sinful Otaku who doesn’t appreciate much Vocaloid! It’s the truth. That artificial sound just bothers me, but it somehow matches perfectly with the 8 bit style from this game. Kikuo, who wrote most of the tracks managed to make the words from the vocaloid understandable while composing absurdly catchy songs! You can also get more songs as DLC, like tracks from Guilty Gear X. 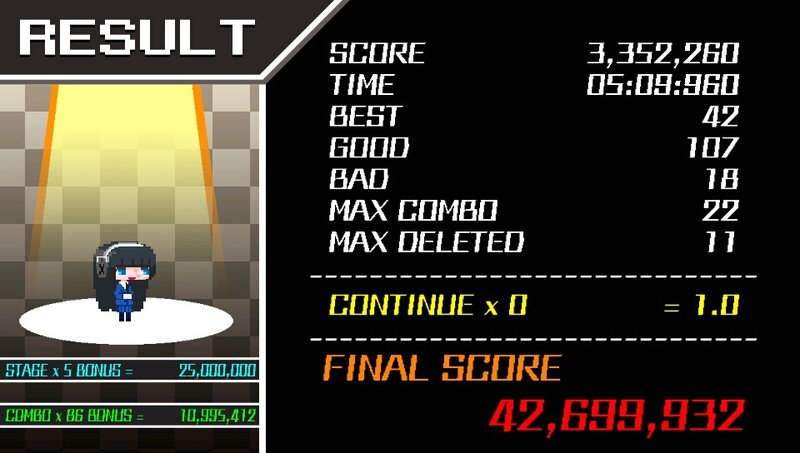 This entry was posted in Game and tagged Arc System Works, Game, PS Vita, Puzzle, Review, Rhythm Game. Bookmark the permalink.